Here is something every beader is sure to love. You can’t go wrong with a gift card. Available in $25, $50 and $100 amounts, give as much as you want. 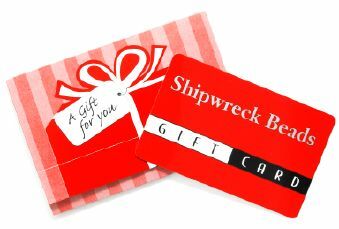 A Shipwreck Beads gift card is sure to be a hit!